Clock yourself in, view time entries and invite your workers. For admins, such as yourself, the first page you will always see is the dashboard. This page gives you an overview of your worker activity for the current week. After clicking “Clock In” you will see a “New Shift” pop up appear. 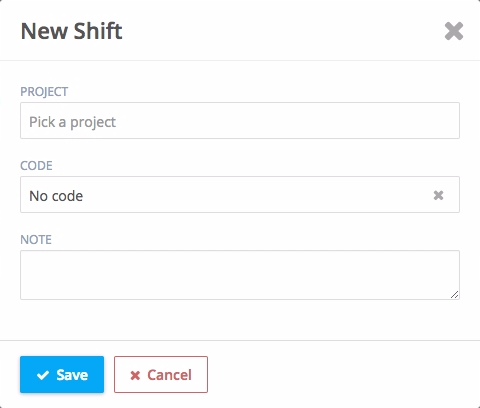 From here you can tag what projects and/or cost codes you are currently working on. Codes are items that allow you to categorize your time. For instance, you could create a “concrete” code for tracking how much time was spent on concrete. Codes are flexible and also allow you to assign standard and overtime rates to them. If you ever want to go look at previous time records, go to the entries page by clicking on the “Timesheets” tab on the left side. 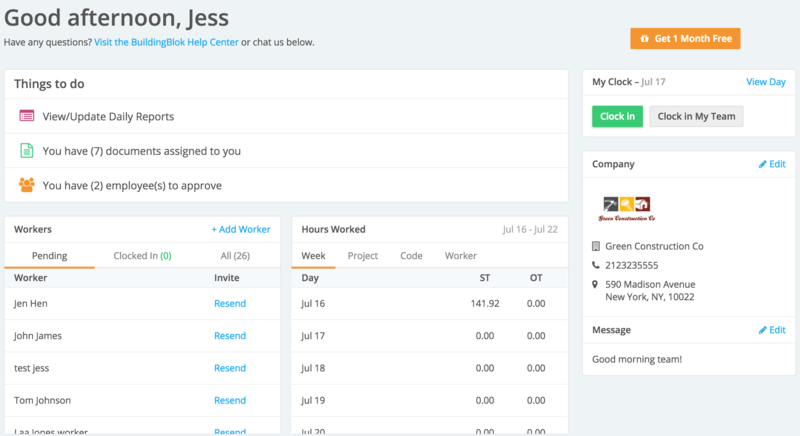 Now that you know how to clock yourself in, add projects and codes, let’s start inviting some workers. You can invite workers by clicking the “Actions” button at the top of the Timesheets page or navigating to the “Workers” tab from the People page. 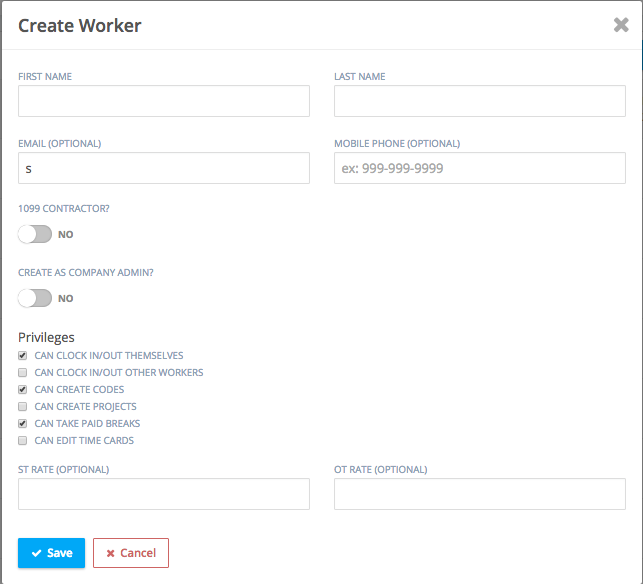 You can also add workers directly from your Dashboard. When you add a worker, you have two options. You can invite a real user into the system so they can clock in/out. Or create a placeholder worker, which does not requires a user to be invited. Placeholders cannot log in and cannot clock in themselves. Adding a worker’s email address will invite a real user to the system. Email addresses are required to have a worker log in on their own. We recommend adding your worker’s mobile phone number as well so they can receive a text message to download the mobile app. After you invite a worker, an invitation email and text message will be sent on behalf of your company, providing the user with instructions on how to download the BuildingBlok Timesheets mobile app and create their account. Thank you for taking our brief tour. If you have any questions, please reach out to us in the chat below or email support@buildingblok.com.